Because life is made up of the small things. 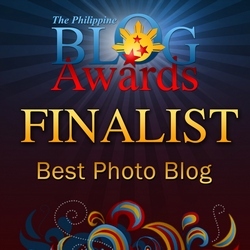 If I bring my camera, I HAVE to bring my (a) tripod. That’s sort of a hard and fast rule — albeit unwritten — that I’ve come to adhere to through the years. Being a landscape photographer by nature, you never know when an opportunity to capture a sunrise or sunset might arise, so my policy is to always be prepared. These past few months though, my (along with my wife’s, naturally) travel dynamic has changed drastically with the addition of Amy into the family. Before, I could manage bringing the majority of our stuff with my trusty (but heavy) tripod in tow, but a baby changes things — now, we need to bring more stuff, and every ounce of weight off our backs is a welcome prospect. 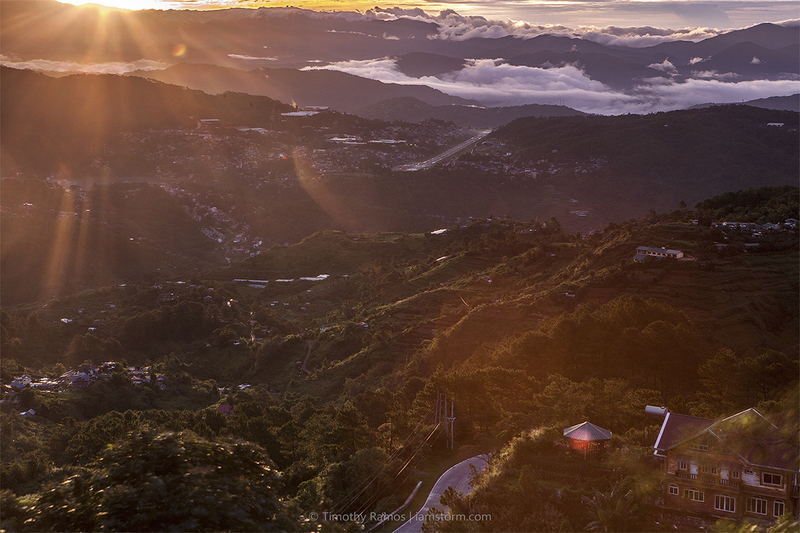 While I ultimately wouldn’t have minded lugging along my trusty tripod up our recent trip to Baguio, it’s a good thing I asked around and Manfrotto was kind enough to lend me one of their BeFree tripods for me to bring along and review. First off, it’s small and it’s light. 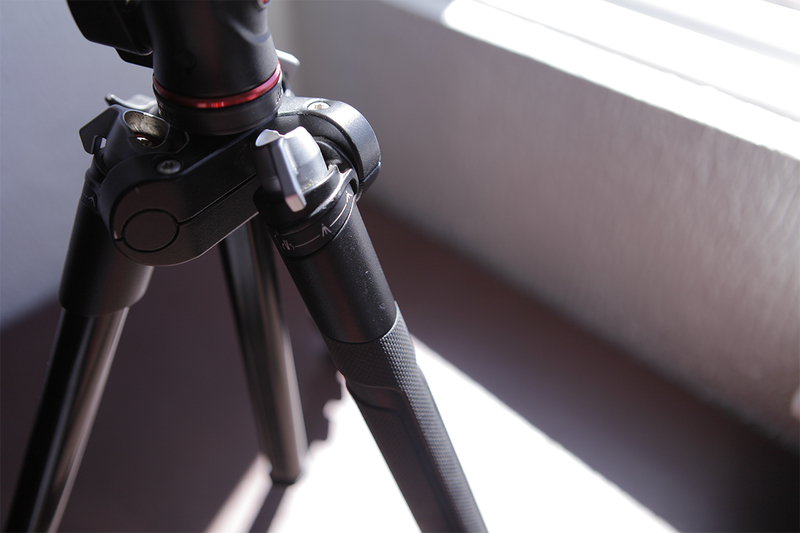 And I’m talking about the aluminum version, not even the carbon fiber one (I have some personal misgivings about CF tripods in general, but that’s entirely off-topic). Especially compared to the one I own, it was refreshing to have something so small and compact. Since this was a loaner I just picked up, there was no manual, and I had no one to teach me to use it. But I figured how to set it up pretty quickly — the simplicity of the system was another plus for me. I also appreciated how easy it was to spread the legs out — there’s a knobby thingamajig you just twist to quickly adjust how spread out you want each leg to be. Just be careful, since you can accidentally realign the twisty things even if they’re spring-locked in place (although I don’t know if this was just because the unit was used) which could potentially upend your camera. 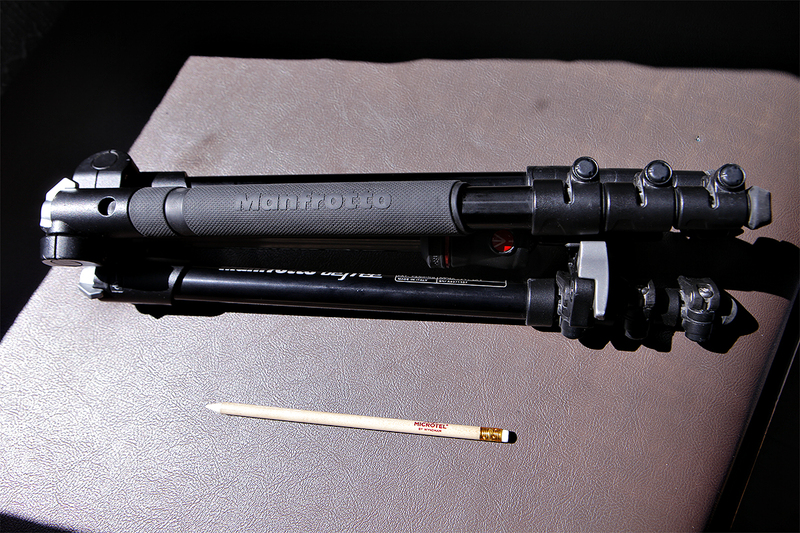 Also, since this is a small tripod, it had more leg locks to make it more compact, which in the field translates into having to snap out more extensions. Twist this silver knob to change how spread out you want the legs to be. The small ballhead that came with it gave me a bit of a pause, since I still shoot with a DSLR — which today, if you are wont to listen to mirrorless preachers, is “archaic” and “outdated” — but it managed to hold my 5D Mark 2 with a 24-70 2.8L Mark 1 pretty well and I experienced no issues like tilting. I also appreciated the simplicity of the locks for the ballhead and the stem — just one for each — which were also surprisingly stable and tight. The mount took a bit more time getting used to, and I never got comfortable using the small plastic lock on the side that keeps the mount in place. I also got confused a lot by the main lock for the mount (does it go left or right? ), which was a real (literal) pain to unlock whenever I happened to tighten the lock a bit too much. I was also disappointed that the main stem did not have a hook at the end where I could hang my camera bag for easy access to my stuff and better stability; while small, I feel this feature is especially useful in situations like shooting seascapes and you have nowhere to put down your bag. Cons considered, I’d still say I would not be sorry in the least to have one. 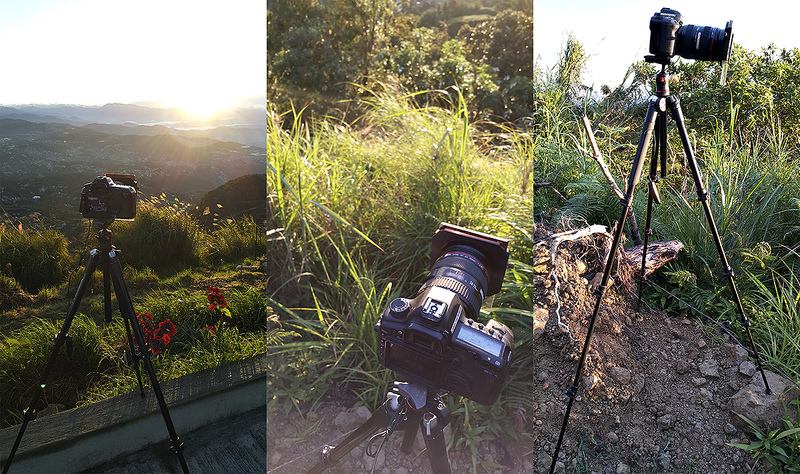 My heavier tripod is still useful for rougher situations, but the BeFree is a great all-around travel tripod that wouldn’t make me think twice about bringing it (if I had one) when I go out. It’s easy to use, compact, light, and considering the brand, of good quality as well. 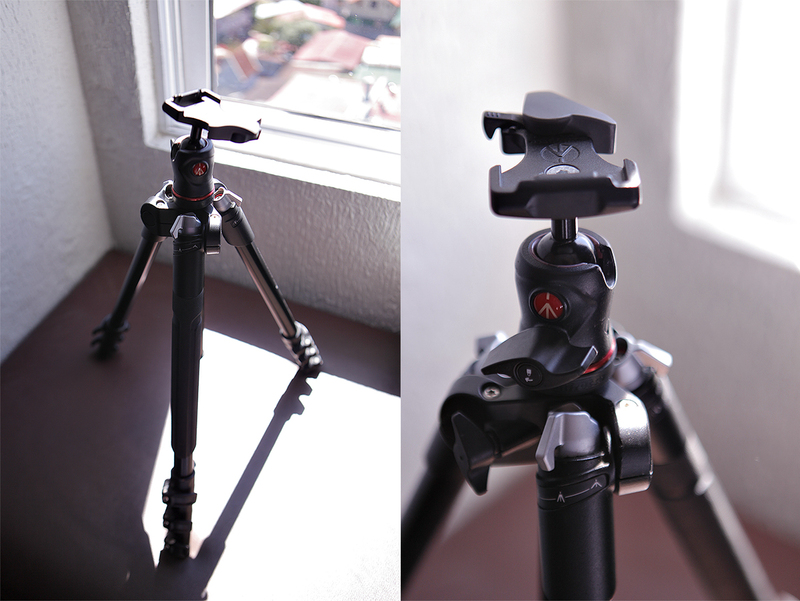 The Manfrotto BeFree retails for Php11,790 and is available at Henry’s, Colours Digital Foto, and Lazada. You can also visit Manfrotto Philippines to see their other offerings.